Carved by hand and made to measure, a complete design to delivery service is offered. 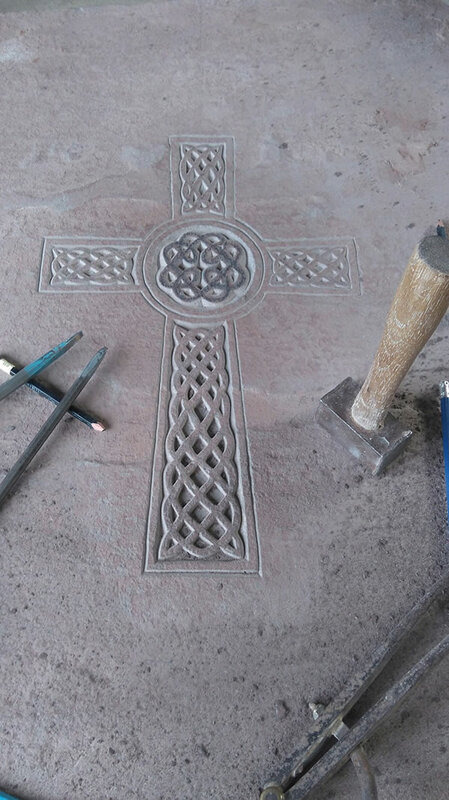 We are traditionally trained Stonemasons hand carving Natural Stone fireplaces from our workshop near Hay-on-Wye. Everything is made to measure using traditional techniques in a choice of fabulous natural stones quarried and mined in the UK. Designed by us, carved in our workshop, delivered and fitted all over the country for both private and trade customers. 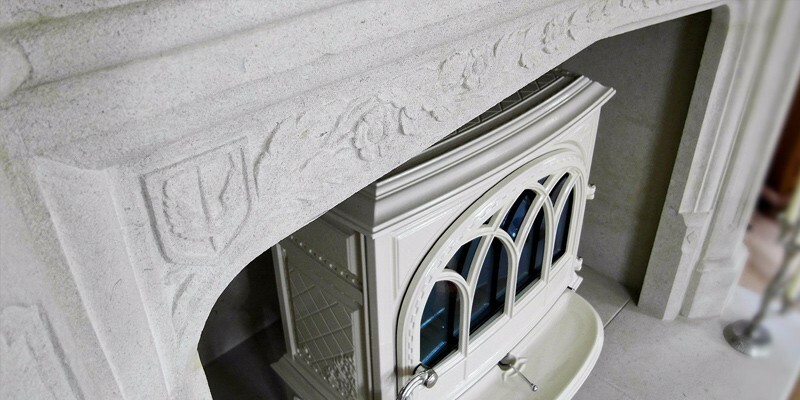 With over 25 years experience carving stone we have made hundreds of fireplaces. Country Cottages to Stately Homes; Listed buildings and New Builds; Hotels and New Developments; we will carve a timeless addition and focal point for any space for decades to come. All made to measure, designed from scratch or following your brief. Call Hugh today for a chat and to book site visit without obligation or charge… we will travel to see you anywhere in the UK. Hugh Peachey was extremely helpful over the design and very nice to deal with and it was all completed in good time. Dear Hugh, This is just a quick note to thank you so much for the stone fireplace you fabricated and fitted for us. It was a delight to work with you. The initial design sketches gave us lots of ideas, the quality of manufacture is first class, and the overall result has given the drawing room exactly the lift we were looking for. You evidently enjoy your work; in an age of mass production, it is a joy to find a craftsman who can turn out such fantastic bespoke pieces. We were delighted with the service and quality of work done by Hugh, we would be very happy to recommend him. 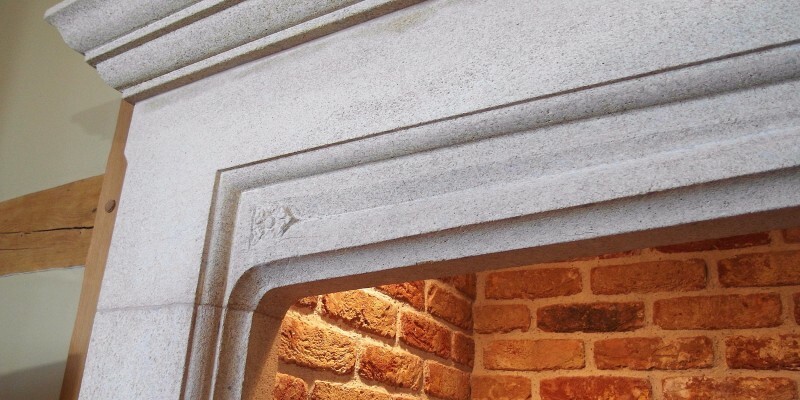 The Mason's yard carved a matching pair of fireplaces for my renovation project in London; I am very pleased with the standard of work and service offered by Hugh and his team. They were recommended to me by previous customer and I would happily recommend them to anybody in need of a natural stone Fireplace. Just wanted to send you a note regarding the wonderful fireplace that you have made for us. The workmanship is of an exceptional standard, it has been a real pleasure dealing with you. You are a credit to your craft and we will not hesitate to highly reccomend The Mason's Yard. 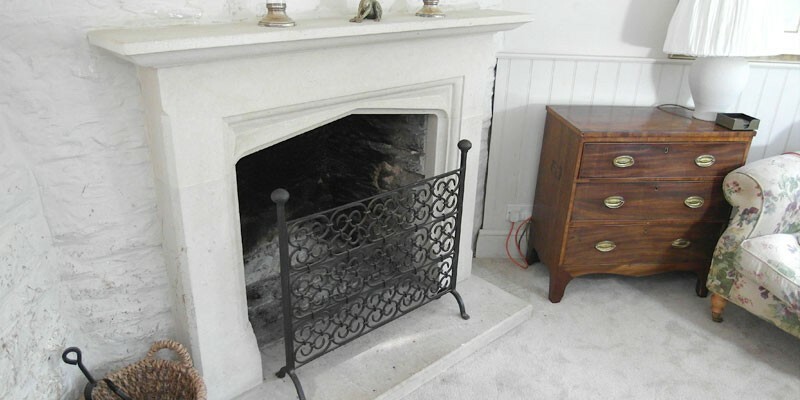 We are very proud of our beautiful Bath stone Fireplace. Tudor Arch style carved from 'Clipsham' Limestone from Lincolnshire. We sometimes have fireplaces in stock for immediate delivery. Please ring or email for further details. The Mason's Yard offer a Nationwide Service. We design, we carve by hand, we deliver and fit anywhere in the UK. Site visits undertaken - give us a call for some friendly advice.